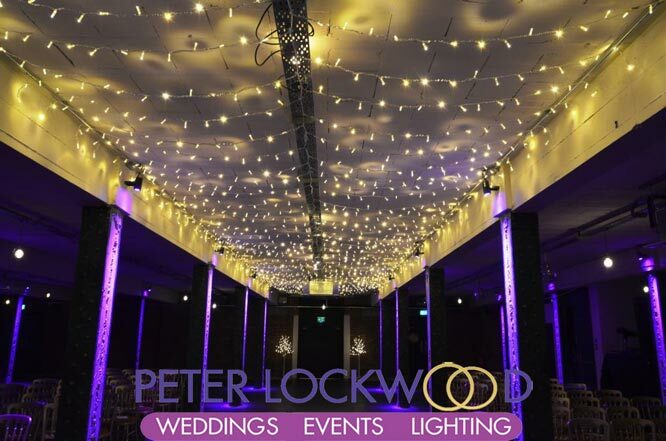 Fairy Light Canopy is a way to enhance your venue, outside space or wedding aisle. 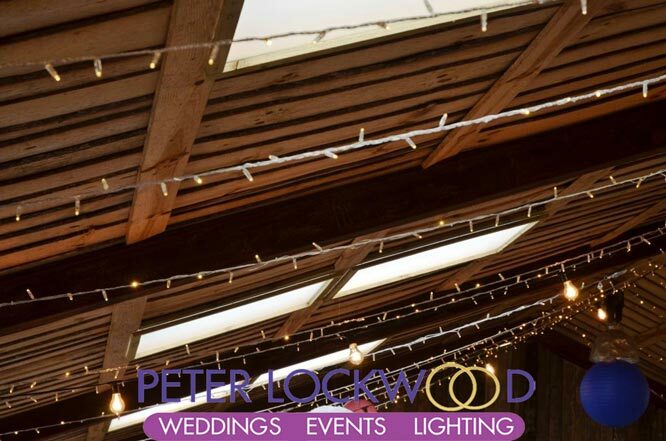 My Fairy Light canopies will create a stunning effect where ever they are fitted. 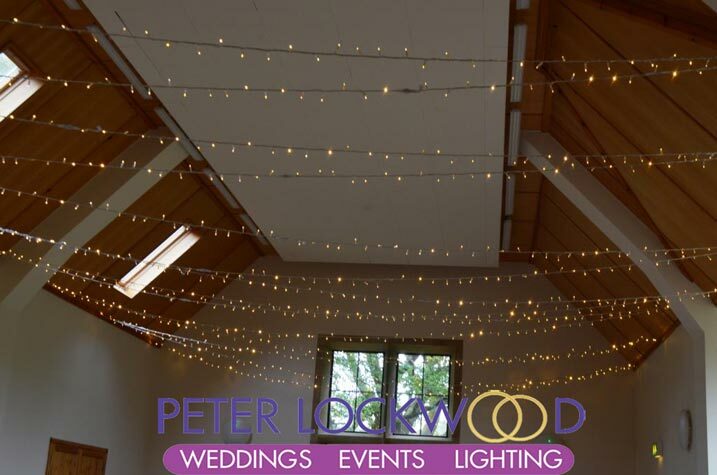 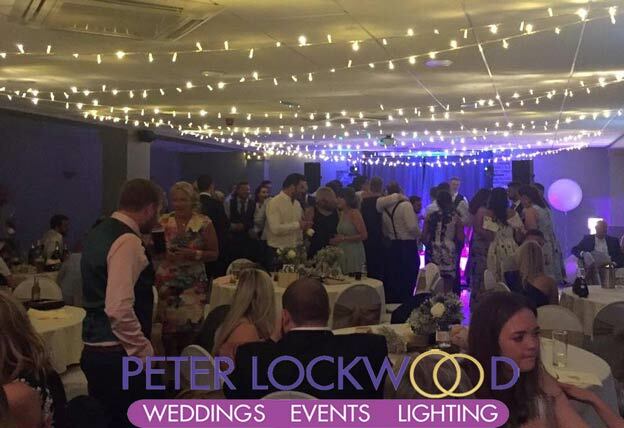 I have 2 types of fairy lights that are suitable for canopies both are warm white one uses white rubber cable that is perfect for large fairy light canopies and clear cable that is suited for a fairy light wedding aisle canopy. 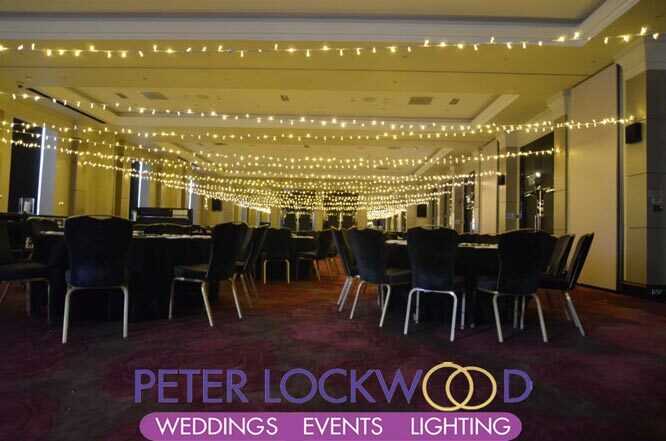 The pictures below are showing a white rubber cabled warm white fairy light canopy in the Radiance Blu Hotel Manchester. 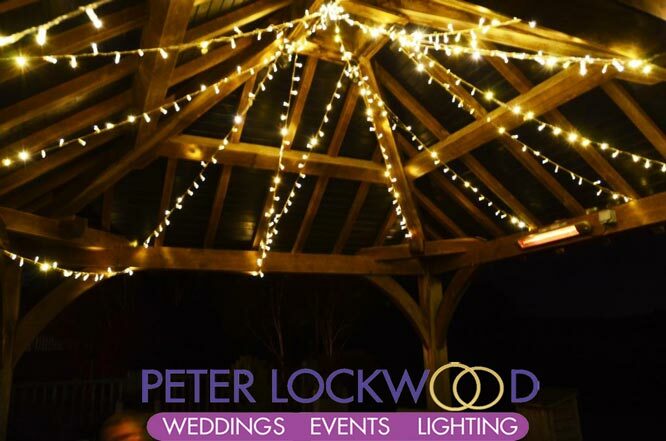 Along with the Clock Tower in Sandhole Oak Barn and a village hall in the Lakes. 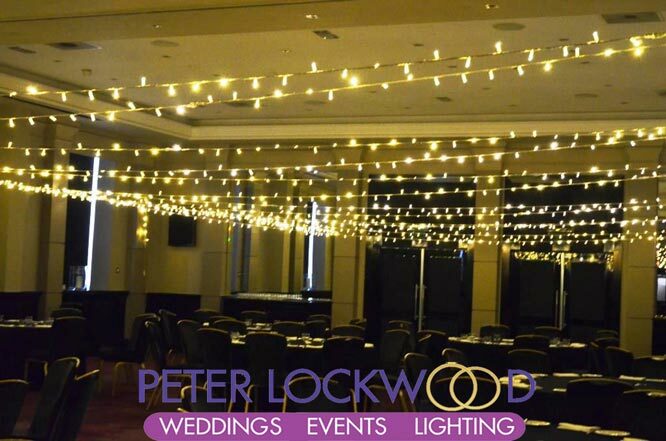 I can provide a 4 or 6 meter wide Fairy Light Wedding Aisle Canopy perfect for your grand entrance. 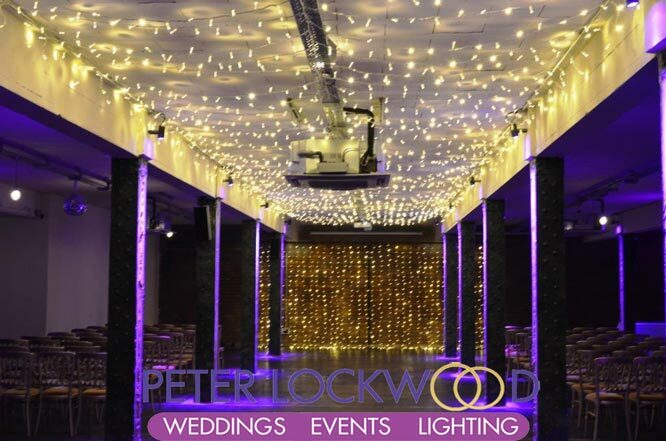 The two pictures below are from Victoria Warehouse and show my 4 meter wide Wedding Aisle Canopy.